Mud, snow, sand, and uncertain terrain are no match for Honda all-wheel drive cars, which offer the traction and control you need in a wide variety of road and weather conditions. When you need the right amount of torque applied to all four wheels, all-wheel drive automatically adjusts for prevailing conditions. Honda’s lineup of AWD-capable vehicles offers the perfect selection for drivers who need comfort, dependability, and strength for the road ahead. Learn more about the benefits of four-wheel drive when you visit any New England Honda Dealers location. You can enjoy the efficiency, power, and versatility you desire along with the stability you need. Models outfitted with AWD will also carry front and rear stabilizer bars, while every 2019 HR-V comes standard equipped with hill start assist and Vehicle Stability Assist™ (VSA®) with Traction Control, keeping driver confidence at an all-time high. Whether it's the dog days of summer or smack dab in the middle of winter, the 2019 Honda HR-V from your New England Honda Dealers is a small crossover that makes big moves, no matter the road ahead. How could Honda make this SUV any more safe? Every 2019 Pilot comes standard with Honda Sensing, a suite of driver assist technologies and safety features that includes Adaptive Cruise Control, Forward Collision Warning, Lane Departure Warning, Road Departure Mitigation, and Collision Mitigation Braking. 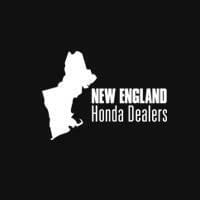 It's strong and sturdy, it's safe, it's spacious, and it's waiting for your test drive at any New England Honda Dealers location. It's the 2019 Honda Pilot.